Kaart der Middelste Landschappen van Italie. 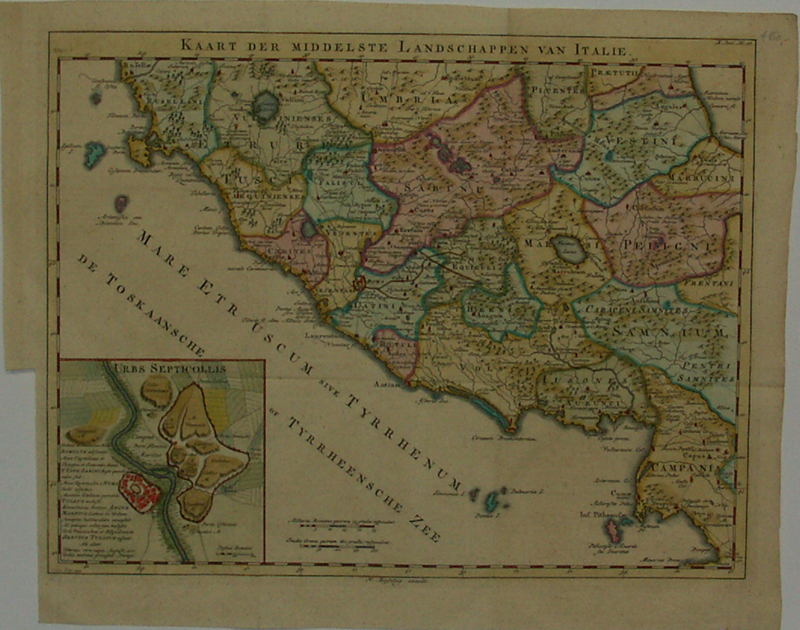 Nice map of Italy showing amongst others Umbria, Etruria, Campania and the city of Rome. In the bottom left corner an inset map titled ‘Urbs Septicollis’. Verso blank.